How did Innovative Engineered Equipment (IEE) get involved with Syrinix? When you control the flow of water, what is the worst thing that can happen? Unexpected water hammer or a pipeline burst can wreak havoc on your system, and be very expensive and dangerous. Val-Matic is the major valve manufacture we represent that is always working with check valves and control valves to best determine correct applications for systems where water hammer can be an issue. Syrinix is also involved with municipalities dealing with tracking down water leaks, water hammer, and potential transient issues. 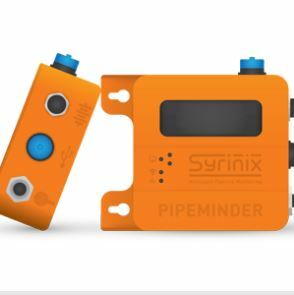 Syrinix is not unique in the quest to find leaks or the sources of water hammer, but they have brought together technologies to overlap in a very portable and non-intrusive system. IEE is excited to represent them in Kansas and Missouri.